A Man Called Mr. Quinlan, Realtor Earnest L. Upchurch Sr. Nothing impacts value more than location. What is the reputation of the local municipality? How about the local school system? Another aspect of location is the type and condition of surrounding properties. Their vale and quality of maintenance will have a direct bearing on the value of the property being considered. If you are looking at a single family detached welling, it is most desirable to purchase a home that is completely surrounded by similar properties of equal or greater value. In our rural and lake resort area, this is hard to do. There is great variety, and many areas do not have surrounding comparable properties. Most buyers looking at Southern Hunt County and Lake Tawakoni understand this and are mainly interested in the maintenance of surrounding properties. Lawn equipment adequately stored and no trash in the yards and roadways are what most buyers focus on. Therefore, it is very important that every property owner be concerned about the appearance of the neighborhood. Keeping the neighborhood clean is money in the pocket of the sellers as well as building community unity. Some designs sell better than others. The most common and popular floor plan is the ranch style or one floor model. The second variety is the two stories that usually features the living areas on the main floor and bedrooms upstairs. However, most buyers want a bedroom and bath on the main level. Split-level floor plans usually come in third place with the 1 ½ floor design taking fourth place. After location and floor plan, the specific features such as number and size of bedrooms and bathrooms are important. The master bedroom and bath can often be the deciding factor in the desirability of one property over another. The kitchen is also a key factor. If the existing kitchen is not up to date and equipped with modern appliances, the expense necessary to bring it up to today’s standards could discourage potential buyers. Large windows overlooking the lake are important assets in homes. Most buyers wanting a lake home, especially a waterfront, want to, at least, look at the water. Many older homes on Lake Tawakoni do not have enough windows for viewing the lake. If this is your home, at least consider improving the lighting and painting the interior with bright, light colored paint. Most buyers don’t want to clean up or fix up a home after they buy it. 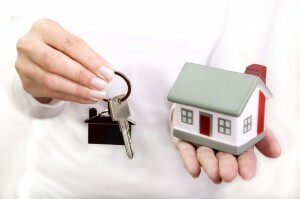 Properties that are clean and well maintained ALWAYS sell quicker and for more money than others. When a home is dirty, really dirty, with cat and dog litter or with bugs jumping out of cabinets, most buyers will never go past the front room. Imagine bragging on someone’s beautiful master bedroom and opening the door to show their unmentionables on the floor or draped over the shower. WOW, WHAT A REALLY GREAT FIRST IMPRESSION! Would you want to buy a home that had odors so bad you have to go outside to get breathable air? Smoking is another turn off for most of today’s buyers. Beside the odor, there is the residue and stain ON EVERYTHING when the sellers are heavy smokers. You cannot mask these odors with incense or candles. As said before, many of our homes are older and need extensive updating. Sellers often make improvements thinking they will add value or appeal. However, in many instances buyers do not appreciate what the sellers have done and will replace everything. This is wasteful for all parties. Use the advice and experience of a REALTOR® when selling your home. They see so many buyers and are aware of current trends and will suggest things that will help you maximize the sale of your home. P.S. You are welcome to email me with any questions you may have about your real estate. I will be most happy to help you. If I don’t know the answer, I will find someone that does! PLEASE TAKE THE TIME TO READ THE INFORMATION ABOUT BROKERAGE SERVICES IN THE HYPERLINKS BELOW. ©2018 Upchurch Real Estate, LLC All rights reserved. CENTURY 21® and the CENTURY 21 Logo are registered service marks owned by Century 21 Real Estate LLC. Upchurch Real Estate, LLC fully supports the principles of the Fair Housing Act and the Equal Opportunity Act. Each franchise is independently owned and operated. Any services or products provided by independently owned and operated franchisees are not provided by, affiliated with or related to Century 21 Real Estate LLC nor any of its affiliated companies.